Kids go FREE this Easter! 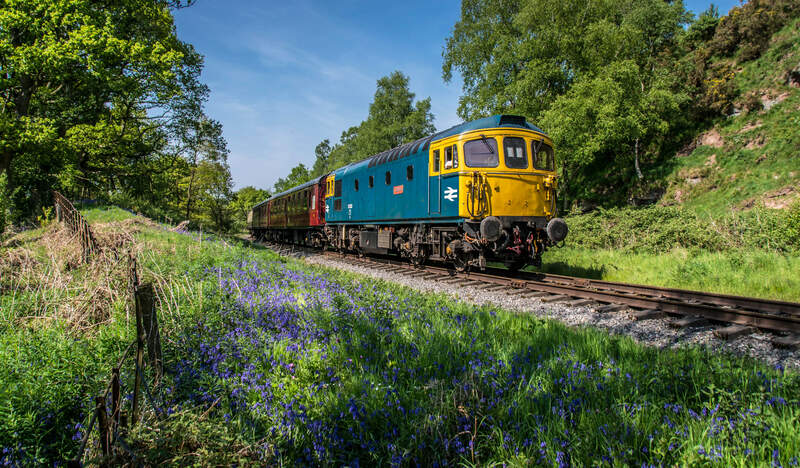 We are extremely excited to announce the visiting locomotive for our Diesel Gala over 27-28 April 2019. 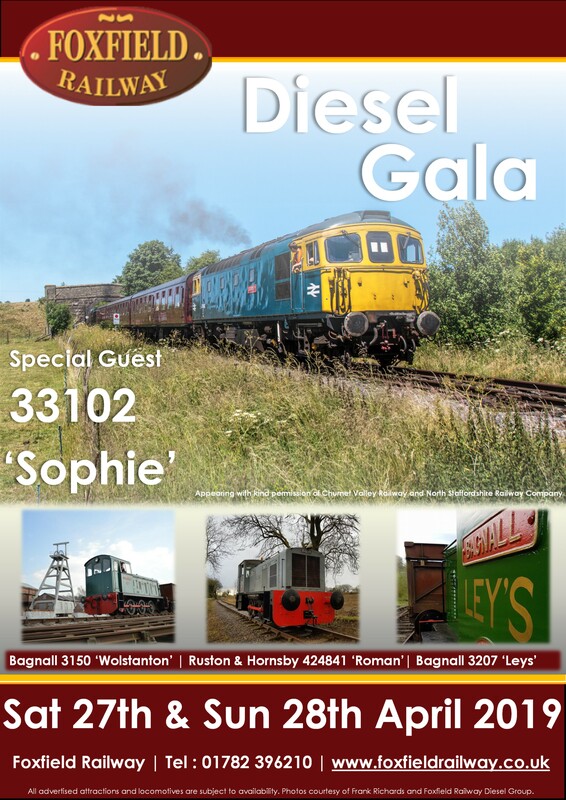 Our friends over at Churnet Valley Railway (1992) PLC​ and North Staffordshire Railway Company (1978) LTD have supported us with the short term loan of British Rail Built Class 33 Number 33102 'Sophie'. 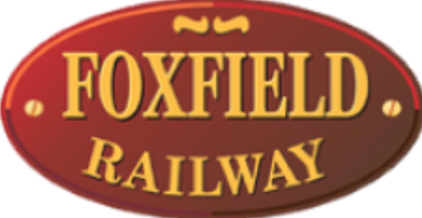 As an event predominantly organised by a group of younger volunteers at Foxfield, We are very pleased to see partnership working taking place across the heritage railways and hope that this will mark the start of such working. (C) Foxfield Light Railway Society LTD.